We offer Long Term Care insurance. 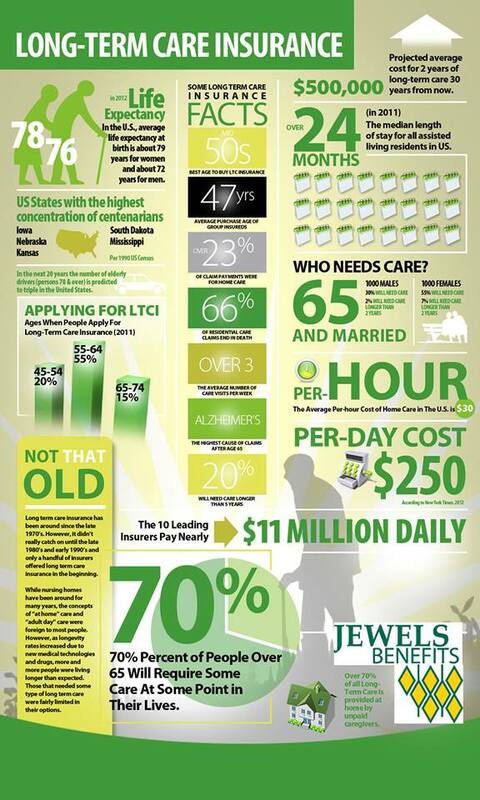 70% of all people who reach age 65 will at some time require long term care. This can be very expensive easily running into thousands of dollars per month. Talk to me today about how to protect your family and your legacy. Request a quote from Jewels Benefits Today.